Polar bear numbers are increasing. Strange then that polar bears are now listed as a “vulnerable species”, as a result of climate change. A quick look on Google and Wikipedia can help out here. The polar bear (Ursus maritimus) was the first species to be classified as threatened with extinction based on predictions of future conditions rather than current status (emphasis added). at least three of the nineteen polar bear subpopulations are currently in decline. However, at least two of the nineteen subpopulations are currently increasing, while another six are considered stable. For decades, large-scale hunting raised international concern for the future of the species, but populations rebounded after controls and quotas began to take effect. In other words, we stopped shooting them. We’re seeing the depths to which Renwick will stoop to buttress his crusade against climate change but his falsifications don’t inspire me to believe him. Polar bears need sea ice to hunt. Sea ice is in decline. 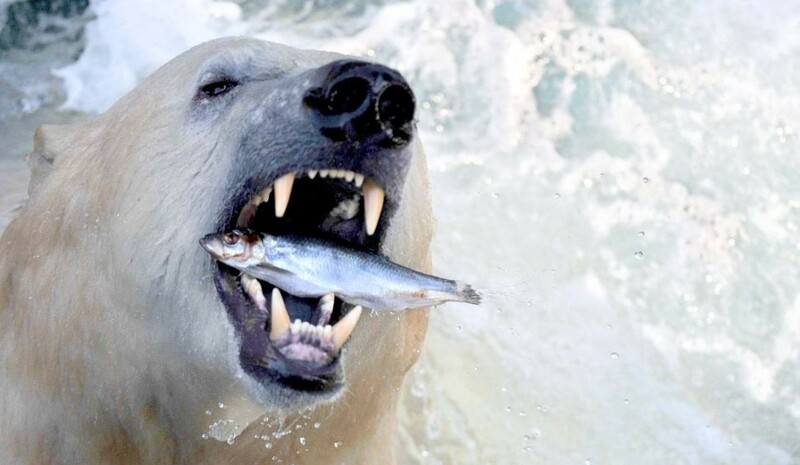 Therefore polar bears will find it more difficult to find food. When animals don’t get enough food their numbers decline. I know from your comments and lack of knowledge you don’t read any science or links. I would characterise it as laziness rather than deception. The fact that a reasonable point by Doug was dismissed “by a quick Google search” is the key. I would suggest that these guys would win more people over to their side if they conceded one or two points from their mantra. Renwick is no longer at Niwa, having been involved with Salinger, who destroyed our 7 station series. Polar bears have declined disastrously from c.5ooo to only c.30000 since shooting was controlled. Pretty much characteristic of climateerism’s plausibility. Total seaice is growing of recent years, but it is only early ice which counts, that being the seal calving period. Thick ice is a disaster. Animals like polar bears have a cuddly look about them—at least, in soft-toy form! As such they, and other animals of similar appearance are brilliant propaganda subjects. Gore knew this only too well. How would Australians feel if koala were to be declared vulnerable because of climate change? (That may have happened, but I am not aware of it.) In recent times Susan Crockford has destroyed the claims which emerged recently around video clips of underfed bears. I do not find it surprising that Renwick would latch on to such statements. He is losing the arguments on so many fronts that it is becoming necessary for him, and his ilk, to grasp at the most egregious claims about the “dangers” of climate change. Dennis, you say “Sea ice is in decline.” Sorry, I didn’t get that memo. Could you elaborate, please? As far as I know, sea ice is volatile at both poles, and the prediction that the Arctic could be ice-free by whatever date has been missed several times already and now is at best a little tired as a proposition. You’ll get no reply from Dennis, as he’s been denied access to this site for the crimes of crudeness and rudeness. Crudeness and rudeness could apply to POTUS. Would you deny that? Yes, but let him try it here and we’ll see how quickly I tire of it.